Berkshire Howell Mill boasts a rigorous national green building standard certification; our well-designed studio, one, and two bedroom apartments come with eco-friendly features such as Nest thermostats and Energy Star qualified stainless steel appliances. 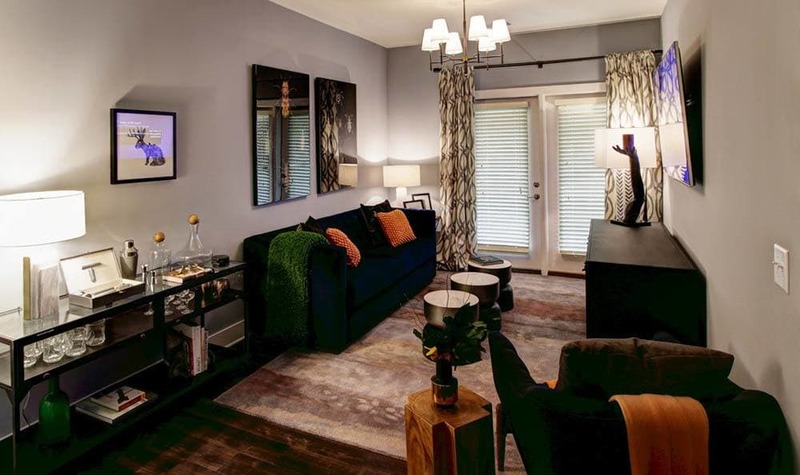 Our community features some of the best amenities you’ll find in the Howell Mill, Buckhead, and Westside areas. We offer high-tech conveniences and social hubs, so residents have countless opportunities to socialize. Catch up on work at the mezzanine tech lounge with Mac stations (and wireless printing), and when you need a caffeine boost, simply grab a cup of joe at the Starbucks coffee bar. Luxury apartment amenities include 9, 10, and 11 foot ceilings that create a feeling of spacious comfort. Chef-inspired kitchens with granite countertops make entertaining a breeze and balconies give you access to the outdoors at your leisure. Luxuriate in elegantly designed bathrooms with Roman soaking tubs. For your added convenience, full-size washer and dryers are included in the residence. Berkshire Howell Mill’s on-site concierge services define upscale living at its finest. Are you ready to live in the most sought-after ZIP code around? View our floor plans and find your favorite apartment today.